With a steady stream of dust in tow, the pickup rolled to a stop in a dirt parking lot in southwest Wyoming. Less than 15 minutes before the deadline to check in at the 2013 National High School Finals Rodeo, the Wright boys had arrived. Rusty and Ryder – the oldest sons of two-time World Champion Saddle Bronc Rider Cody Wright – had pulled an all-nighter driving from the Calgary Stampede. Just teenagers at the time, they’d crossed international borders – not to mention Montana and most of Wyoming – to carry on the family legacy. After all, riding broncs is the Wright way. 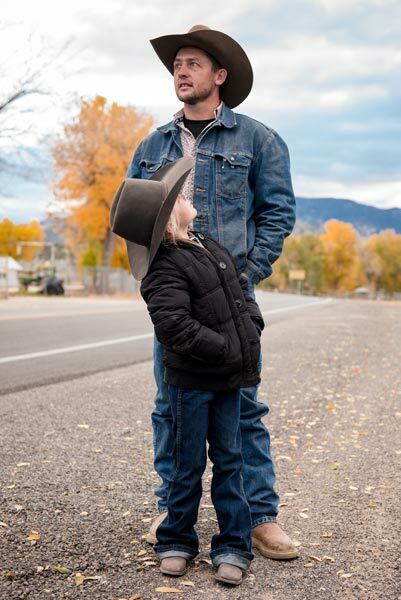 Three years later, the Milford, Utah, cowboys are all grown up. Earlier this week, they were caravanning their way to Las Vegas to compete in the Wrangler National Finals Rodeo at the Thomas & Mack Center. 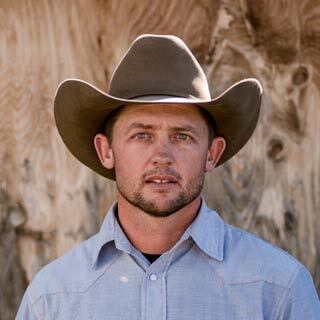 The crowning event for the Professional Rodeo Cowboys Association is a grueling 10-day competition that tests even veteran contestants with rank horses, constant demands on time and the kind of sleepless nights that are often brought on by riding for a share of $10 million in prize money. Rusty has earned his second WNFR trip after placing third in the world standings. Only the top 15 in bronc riding qualify for Las Vegas, so Ryder (14th in bronc riding) had to sweat out his spot in the final weeks of his rookie season. They’re joined in the Super Bowl of rodeo by uncle-in-law CoBurn Bradshaw (second), twin uncles Jake (fifth) and Jesse (10th), and their dad (11th). Betting that the world champion’s gold buckle will end up anywhere other than southwestern Utah when it’s all said and done would be a long shot at best. A regular at the WNFR since first qualifying in 2003, Cody has been bringing his family to Las Vegas for as long as they can remember. But that’s easier said than done. A packed house each night will witness Ryder’s attempts to tame the toughest bucking stock the PRCA has to offer. During the day, there are regularly scheduled sponsor appearances and autograph sessions all across Las Vegas that quickly consume a cowboy’s time. While the family’s dominance in saddle bronc riding has certainly paved the way for the next generation, Rusty and Ryder also have to deal with the weight that comes with success. Such expectations are even more evident in 2016. Cody won world titles in 2008 and 2010, and then watched brothers Jesse and Spencer win the world in 2012 and 2014, respectively. If the pattern holds, another Wright should take home the title this year. That being said, the two will have plenty of experience to lean on before climbing into the chute each night. That wisdom comes in most handy each morning when that night’s stock draw is announced. Bucking horses at the WNFR are assigned to pens that correspond with each night’s rodeo performance. Those horses are then randomly drawn for each cowboy. Every bronc is a little different and requires minor adjustments that can be the difference between a winning ride or an early ejection. For instance, saddle bronc riders take hold of a single rein during their ride, but need to know the tendencies of the horse they’ve drawn to know “how much rein” to give the horse. Give a horse too much rein and he’s liable to throw you over the front end. Give him too little and he’s unlikely to buck to the best of his potential. If you draw a horse you’ve never ridden before, the first thing you want to do is consult with someone who has. Between the six of them, the Wright clan will have ridden nearly every one of the 100 saddle bronc horses selected for the WNFR. There are few families that dominate a sport or activity the way the Wright clan dominates saddle bronc riding at the rodeo. Riding broncs and herding cows is what they know.